Below is summary of Digtal Daze’s fees and offerings. We have a flat price structure at Digital Daze Photography so you only pay for what you want. No complicated fee structures, confusing options or expensive packages filled with items you don’t want. We charge a flat hourly session fee and then you can purchase as many or as few items as you would like thereafter. With our online ordering system you can pick and choose the photos you would like to purchase after your shoot in the comfort of your own home. Orders can then be placed directly via the website through our shopping facility in the secure client area of the site. Professional photography session within greater Stockholm 550 sek / per hour. Min 1 hour. Travel costs outside of the greater Stockholm area will be charged at 5 kr /km. Any other incurred costs such as transportation (ferry, flights, train etc) will be charged at the going rate to the client. Photos purchased under the personal license agreements means you are free to use the images for personal use only. Two for the price of one! Each purchased image will be digitally supplied to the client in high resolution format in the size ordered. 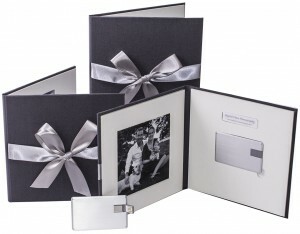 We also supply additional ‘social files’ for each image at no extra cost. Our social files are approx 600x800px in size and are stamped with our logo – you may publish theses social files online via your personal website, blog or social media pages. If you wish to use a photo online without our name stamp then a commercial license must be purchased. You may make prints from the digital files for your own personal use. All photos are delivered digitally via DropBox at no extra cost to the client. Prices quoted are for corporate use. International shipping can be arranged on request. Our prices have been structured to suit personal customers and small businesses, and are therefore set far below the recommended industry standard as published by the Swedish Photographers Associations (Svenska Fotografernas Förbund). Ordering with us is easy! A standard session with us costs 550kr for an hours photoshoot + the cost of the images you would like to purchase thereafter. You can purchase as many or as few photos as you wish. It's that simple!